Couldn’t make it to Munich for Octoberfest? No worries, A Grid has got you covered with our own Octoberfest event! 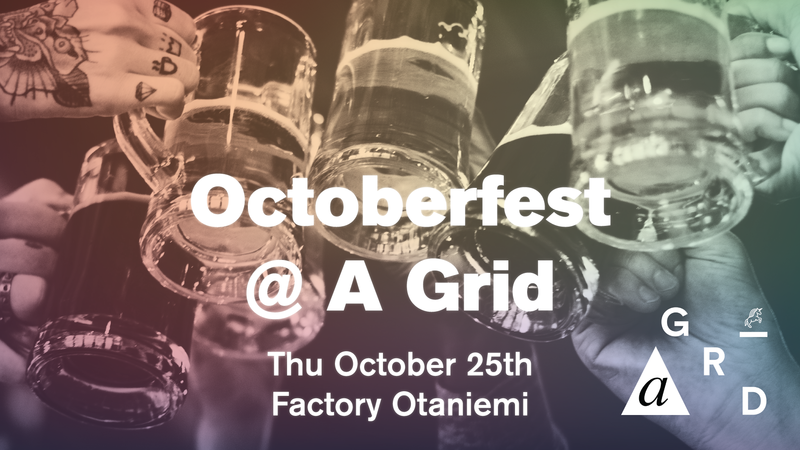 Grab your friends and head to Factory Otaniemi in A Grid on Thursday October 25th. Besides beer (obviously), there will be food in keeping with the theme, other drinks and music. The price is 15€ with food and beer from kegs, or you can come by and enjoy only the food for 8€.